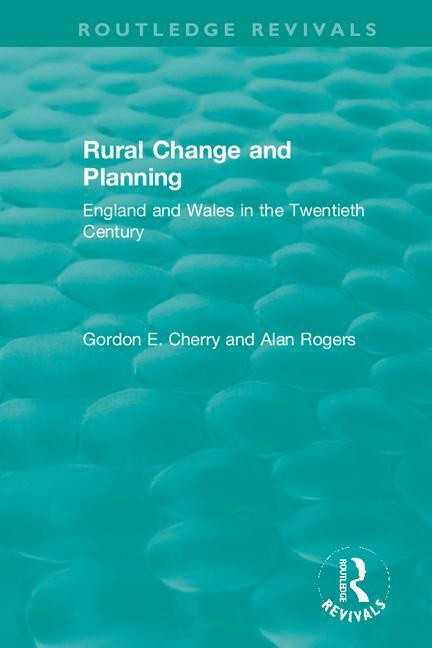 Originally published in 1996 Rural Change and Planning describes the turbulent changes that have occurred in rural England and Wales since the outbreak of the First World War. The book describes the changes from an agriculturally-dominated countryside to one which has had to increasingly adapt to urban pressures. Looking at the changes chronologically, the book provides an integrated history of rural planning in the twentieth century and the developments which have taken place within the State, which has facilitated those changes. The book looks at the social and economic impacts of two world wars on agricultural communities, and the pressures of industry, new settlements and the effects of recreation on rural landscapes.